Professional indexer and successful self-published novelist Joanne Phillips provides an easy-to-follow guide to compiling an index for a self-published non-fiction book. Providing an index gives your non-fiction book a professional edge, and compiling one is as easy as ABC once you’ve mastered the basic rules. A non-fiction book without an index always strikes me as slightly odd. There’s no law against it, but providing your readers with a map to help them discover or revisit important parts of your text isn’t something you should dismiss as too difficult or too expensive. There’s no doubt the best person to compile an index is a professional indexer, but there’s also nothing to stop authors having a stab at it. One of the problems with authors compiling their own indexes, however, is that they are often too close to the topic to be able to put themselves in a reader’s shoes. So this is the first hurdle to overcome – try to look at your book through fresh eyes. Who are your readers? You will have given this a lot of thought when planning your marketing strategy – now use this information to get a vivid picture of the index user. What will they be looking for? How will they use the index? Are they likely to be complete novices searching for basic information or might your user be an expert? Or will both types of reader be using the index? With this in mind, carefully go through your text picking out the indexable elements. These may be names of places, people or organizations, abstract ideas and concepts, anything the reader is likely to look up. As you make your list, note down where in the finished book this information appears, i.e. the page number. Take extra care to get this right – mistakes made with locations are extremely frustrating! The next stage is to organize this information into headings and subheadings. Note that the subheadings are indented and that entries follow alphabetical and numerical order. Try to make main headings out of most of your entries, even if some of these also appear as subheadings under other main headings. Then look through your list for any possible cross-references. Take time to check and double-check every entry, and, if possible, get someone else to check it for usability, spelling, order and accuracy. Like the rest of your text, once it has gone to print it will be impossible to change. A good tip is to study the indexes of books on a similar subject to yours. You will quickly see what makes a good index – and what makes for a useless one. Some ebooks have usable indexes, but not many; often the print index is merely replicated at the end which is completely useless. It’s not difficult to index an ebook, the main principles of choosing terms is the same, but instead of page numbers the exact location within the reflowable text is used, via a hyperlink embedded in the formatted document. Check with your indexer before going ahead that they are able to code your ebook this way – some indexers (like me, for instance) will offer an indexing service that includes a formatted Kindle-ready (or epub-ready) file including the index. A professional freelance indexer and author, Joanne Phillips is happy to offer advice and guidance to her fellow ALLi members for free. 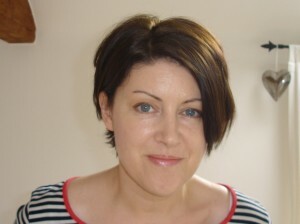 For a competitive indexing quote, contact her via her author website, www.joannephillips.co.uk. For more information on indexing and other indexers contact the Society of Indexers. Joanne Phillips lives in Shropshire with her husband and daughter. She’s the author of contemporary women’s fiction novels "Can't Live Without" and "The Family Trap" and cozy mystery "Murder at the Maples". Joanne is studying for a masters in creative writing at Manchester Metropolitan University and works part time as an indexer. She blogs about writing and publishing at her author website. I have been daunted to even begin indexing my first book but with your guidance here I started and I actually found that I LOVE this kind of organizing. Have I been derelict in realizing my own potential as an indexer?! Just one question: On the first example I cannot see that there is any difference in the heading and sub heading regarding indents or any difference in upper or lower case? Thanks for this article Joanne. I am wondering what software you use to provide the hyperlinked index for ebooks. The manuscript of my book is in Word and I use a Mac. I’ve been trying desperately to find a solution to this problem so any direction you can give me is greatly appreciated. Nice article 🙂 … A human should compile the index; i agree with you, but in response to “Michael Fortner” comment from my experience i have used the program ‘PDF Index Generator’ … http://www.pdfindexgenerator.com .. It is not an indexing program but a program that has some useful features like handling cross-references and creating hyperlinks for the indexed words linking to their alternative pages. It would seem to me the an index in an ebook is superfluous. All you have to do is search and it will find what you are looking for. When you consider what creating an index with hyperlinks would cost, wow, totally ridiculous. Hi Michael – your point made me smile, because that kind of thinking is exactly why you need a human to compile an index and why computers can’t do it … yet. You’re assuming that the topic or concept you want to look up is mentioned by name in the text – so you can search for it – and you’re also assuming that the index user knows the exact phrase or term they need to look up in the first place. Often a particular concept is referred to in a book – for example a book on psychology might have a lot of information about child development and the theories around this, but not once mention parenting – even though the information is really useful for people who want to look up parenting, and that reader would look under P in the index for this exact information. If they searched the document the term may well not appear. On the other hand, if you simply search the document you will bring up every single passing reference, many of which aren’t remotely relevant to the topic and waste the reader’s time. Thanks for this article. It is right on time since I’m finishing up the 2nd edition of my nonfiction book. Your tips on creating an index are useful. They also remind me, however, that an index may be best left to a pro with an objective eye to the work. I value indexes, so I’ll definitely include one in my book. That’s great Flora – and yes, it’s really important to consider all index users. Some will approach the index before reading the book, looking for a particular topic, and some will be checking back to find a part they’ve read already and want to revisit. And, as you so rightly said, some will be new to the topic and others may well be experts! I index a lot of educational texts, and the publishers say things like: This is aimed at 16 year olds, or this is for A level users. But what I try and remember is that the texts will also be used by the people teaching the courses as well as the students, and that it’s really important to make it useful and user-friendly for everyone. Hi Joanne, thanks for this article. It’s very timely for me. I’ve just completed my first bookâ€¦..a memoir that traces my life where I describe a very profound spiritual process that I’ve been through. The book is divided into parts, and I have an index showing the parts and their respective chapters. I think it’s good to have because it gives the reader a good overview of the book, but I’m not sure whether it’s ok/usual for a memoir to have an index.